A few weeks ago, I went to my favorite local theater to see ANNIHILATION. Being unfamiliar with the novel, I wasn’t expecting to be blown away by any means, but was hoping to at least enjoy what I was sure were going to be interesting, mind-bending visuals. Now I’m not especially picky about what I invest my time in watching, and, perhaps because of that, there haven’t been too many things that have taken me by surprise over the years. Basically, my thinking is this: if I can go into a movie and enjoy at least one aspect of it, then it will more or less be a net-positive experience for me. I walked out of ANNIHILATION completely dumbfounded. I wasn’t sure exactly what I had seen, and I had no idea what to make of it, but I knew I had just seen something important. 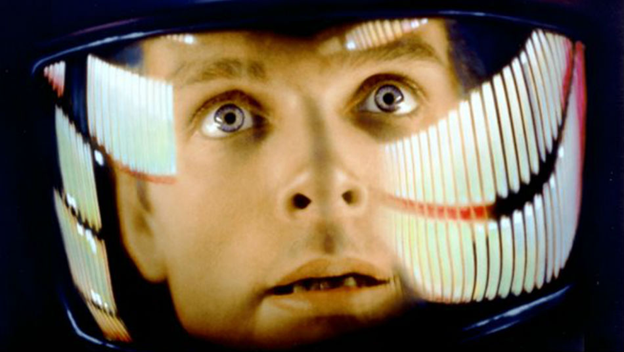 It was very similar to the feeling I had after seeing 2001: A SPACE ODYSSEY, GHOST IN THE SHELL (the 1995 anime, that is) and UNDER THE SKIN for the first time—films which went on to become some of my all-time favorites. 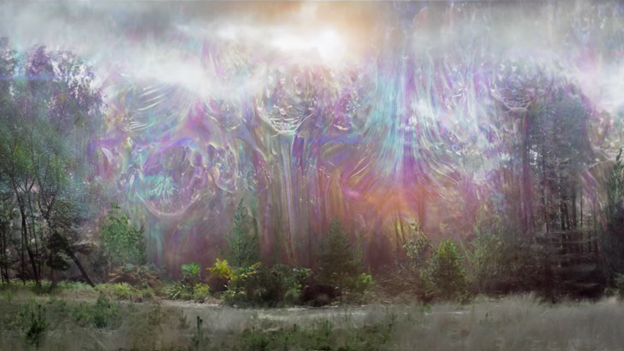 ANNIHILATION left huge impressions on me—not an impression, but a number of thoughts and feelings that all bubbled and shifted around one another, like “The Shimmer” of the film itself. There were so many things I picked up on but could not quite pin down or elaborate. For me, it was a profound movie-going experience: beautiful, frightening, and unsettling all at once, like a dream that lingers on the fringes of the mind. It raised more questions than it gave answers, it didn’t spell anything out, and it didn’t hold hands. Hell, it probably doesn’t even have answers for all of its questions. ANNIHILATION simply leaves its viewers to arrive at their own conclusions. And it is exactly the kind of film that we need more of. I’ll be the first to bash the legitimacy of Rotten Tomatoes at any opportunity, but it is interesting to see critic and audience scores track relatively closely for a low-key, dump-month release such as this. That has to mean something, right? Audiences just don’t seem to be too keen on going to the movies if there isn’t a huge franchise tentpole or another Dwayne “The Rock” Johnson vehicle these days. And yet, the majority of people who have been showing up to see this film have been enjoying it. Maybe there is hope for smaller films after all? Imagine my consternation upon learning that, before this even goes online, ANNIHILATION will be available for streaming on Netflix—just 17 days after being released in theaters. Well, why? What gives? The short version is that, while Paramount has released ANNIHILATION in the U.S., Canada, and China, they had already sold the film’s international rights to Netflix back in December after test-screenings suggested that audiences might find it “too complicated” and “too intellectual.” No surprises there, really. Original sci-fi flicks rarely do well in theaters, but we’ll get into that in a bit. However, what is maybe a little more surprising is that this kind of deal is almost unheard of. What a deal like this really says is that Paramount never expected to make their money back on ANNIHILATION. They were essentially cutting their losses before the film ever saw the light of day. But if that is the case, then why bother making them in the first place? The truth is that the Netflix deal was penned after one of the worst financial years in Paramount’s history. Essentially, it boiled down to turning over the rights for guaranteed, immediate money, or holding onto them in hopes of recouping the money later. The risk-reward ratio was extremely skewed, and one could hardly blame Paramount for choosing the latter, as nearly every one of their 2017 releases was a disaster: GHOST IN THE SHELL bombed; MOTHER! bombed; DOWNSIZING bombed; SUBURBICON really bombed. Paramount’s only sort-of-hit in 2017 was TRANSFORMERS: THE LAST KNIGHT which . . . yikes. But, circling back a bit, we can’t forget that heady, thought-provoking science fiction (never mind candyfloss, nostalgia-baiting merchandise-pushers like READY PLAYER ONE or any of the latest glut of Star Wars films) has enjoyed a renaissance in recent years. ANNIHILATION is, if nothing else, the latest in a recent line of abstract, “cerebral” critical darlings such as EX MACHINA, ARRIVAL, and BLADE RUNNER 2049. However, while these films are doing quite well critically, they aren’t doing quite so well financially. ANNIHILATION, which was made on a $40 million budget, earned $11 million in its opening weekend at the box office. It has so far gone on to earn a little over $26 million, a number which is unlikely to go up. Oscar winner BLADE RUNNER 2049, which had a $150 million budget, earned $32.7 million at the box office on its opening weekend, finishing its domestic theatrical run with $92 million. Turns out, not very many people were all that interested in a pensive, nearly three-hour long meditation on identity. It did, however, end up with a worldwide total of $259.2 million. GHOST IN THE SHELL, another hyped science fiction film with a large budget of $110 million, pulled in a mere $18.6 million on its opening weekend, ending with $40.5 million in domestic ticket sales and just $169.8 worldwide. To contrast, and perhaps explain Paramount’s sci-fi risk-taking, is 2016’s ARRIVAL. Made on a budget of $47 million budget, it made $24 million in its opening weekend before proving to be a smash hit and going on to earn a respectable $100.5 million domestically and $203.3 worldwide. But, if these sorts of movies are underperforming in theaters more often than not, again, why are they being made? And, even odder, why do so many Netflix originals seem to be modeling themselves after them? Why is it that original show ALTERED CARBON and acquisition MUTE look as if they were lifted directly from BLADE RUNNER 2049 and GHOST IN THE SHELL concept art? 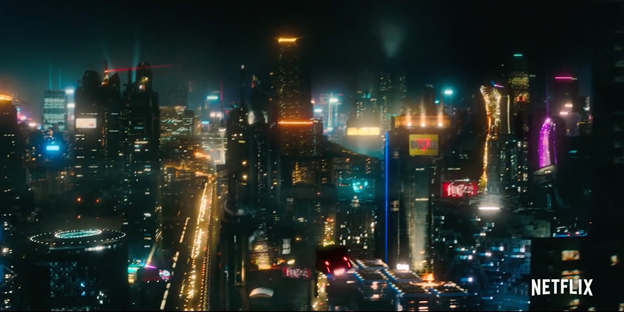 One could make the argument that those Netflix IPs are just as indebted to the original BLADE RUNNER and GHOST IN THE SHELL—films which are almost wholly responsible for the entire aesthetic of Cyberpunk, not to mention those 2017 films—as any number of other sci-fi films, but if achieving an artistic vision is why directors are moving to Netflix in the first place, then why aren’t more of them making unique features? You know, like ANNIHILATION? It could be that those are just the movies they want to make. It could also be that people actually are interested in concepts regarding identity and otherness, or, at the very least, cool looking neon-streaked techno-dystopias . . . just only from the comfort of their own homes. The ease and comfort of in-home streaming is just too good to pass up for some. (Not to mention not having to deal with traffic, parking, lines, crowds, inconsiderate audience members . . .) And, of course, movie tickets are only getting more expensive anyway, making a trip to the movies an easy luxury to do without as the cost of everything else inflates and wages stagnate. It could be that the only way for those directors to reach their audiences really is through platforms like Netflix. After all, niche is the name of the game with streaming. But before we settle for that justification, let’s look at a few of those Netflix originals. Although not exactly a sci-fi flick, BRIGHT, Netflix’s first big, super-hyped original film, was made on a $90 million dollar budget. Although critically panned, it proved to be a hit with subscribers, pulling in a reported 11 million viewers in just three days. But, since Netflix viewership metrics aren’t exactly as quantifiable as box office numbers, it is a little tricky to know exactly what that means for the company. However, if we put the average price of a movie ticket at a square $10 (I know, I wish they cost that much), that would put BRIGHT at a cool $110 million over the course of its “opening weekend.” Not a bad turnaround; certainly a lot better than most original, non-franchise sci-fi films do at the box office. It does bear mentioning, though, that while someone might be quick to turn on BRIGHT as background noise while cooking dinner or swiping through apps, that same person probably wouldn’t make a big point of catching it in theaters. In addition to ANNIHILATION, Paramount also sold the rights to its other $40 million budget, sci-fi freakout, THE CLOVERFIELD PARADOX, to Netflix for $50 million. Again, not a bad deal, considering the film had been caught in developmental hell for years with no A-list stars to bank on. We all know about its surprise premiere after Super Bowl LII and that it was also critically lambasted, but not everyone may know how well it fared in terms of viewership. It garnered 2.8 million views over its first three days—a steep drop from that of BRIGHT’s 11 million. Following the same math, PARADOX brought in just $28 million. Not quite the $50 million they paid for it. 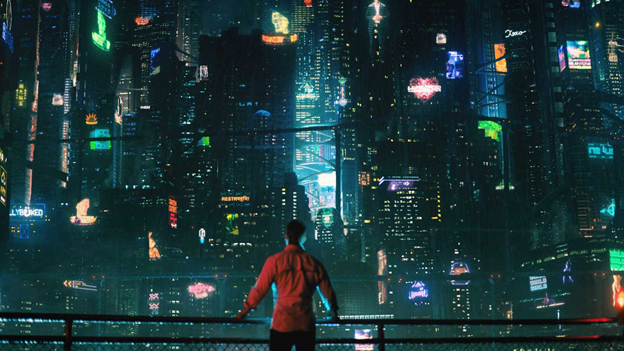 We also have ALTERED CARBON which, aside from looking suspiciously like a replicant of Villeneuve’s opus, has been failing tests with viewers, too, averaging just 1.2 million pairs of eyes in its first three days. And then there’s Netflix’s other recent sci-fi whiff, MUTE, which has apparently fared so poorly that its viewership data hasn’t been made available. So, if IPs are failing at the box office as well as on streaming platforms like Netflix, what then? Will Netflix decide the only way to ensure a profit is to greenlight surefire hits as Hollywood has? What will happen to those visionary directors who have either been relegated to platforms such as Netflix or who have turned to them willingly? Where will we go to see films like ANNIHILATION or ARRIVAL if that happens? Will those kinds of films even get made anymore? Definitely not BLADE RUNNER . . . but maybe STALKER? While it is true that smaller, thoughtful films like ANNIHILATION won’t have to compete with (and get blown out of the water by) major studio releases if they’re released on platforms like Netflix, it must be emphasized that certain movies are meant to be seen on the big screen. ANNIHILATION, like BLADE RUNNER 2049 before it, is absolutely something that must be experienced in theaters. The thought of giving films like that the VOD treatment is . . . sad, really. However, while it is disappointing that many people will never have the opportunity to see Garland’s film in theaters, it is of some consolation that they will still be able to see it on Netflix when they may have never had the chance otherwise. It occurs to me that turning out to see original, challenging films may become a bit like turning out to vote. People are often quick to complain that the majority of movies are dumb and formulaic, but, when a movie like ANNIHILATION comes along, no one shows up. If we don’t go out there and see the movies we claim we want to see, others will see the films we don’t want to see. Then we’ll lose our agency as viewers entirely. So, unless you are really pulling for Phases Five, Six, and Seven of The MCU and The Rock sweating and grunting his way through another series of green screens, you ought to make an effort to watch some of those weird, surreal, confusing, upsetting and difficult movies that turn up every so often—in theaters, or, at the very least, at home. But, beyond that, we should make a point of seeing these films because they open the door to others. Sure, we do end up with a lot of derivative fluff like ALTERED CARBON, but there is no telling what else may come from a truly visionary work. 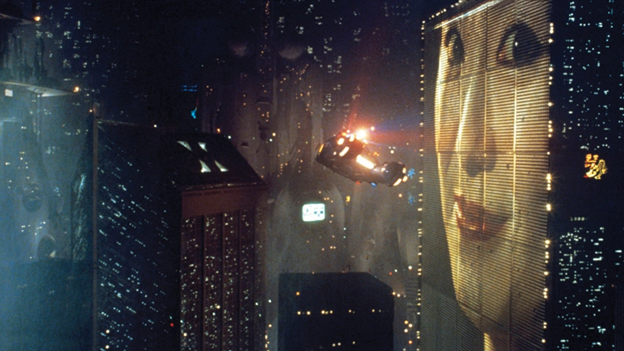 The timeless brilliance of BLADE RUNNER was lost on moviegoers and critics alike for nearly a decade; it was a box office dud that never recouped its $30 million budget. And yet, if it weren’t for that film, there would never have never been GHOST IN THE SHELL. If there hadn’t been GitS, we would have never gotten THE MATRIX. Can you even imagine a world without THE MATRIX? Film, as art, is transcendental. It can be a guiding light in a world that is too often dim. But we must tend that light.